Please note that this blog has been rebranded to be a pescetarian blog with fish, seafood and plant-based recipes only. I’ve kept a few meat-y recipes that are popular and trending so that you can still enjoy them; some include plant-based alterations. Thanks for stopping by! 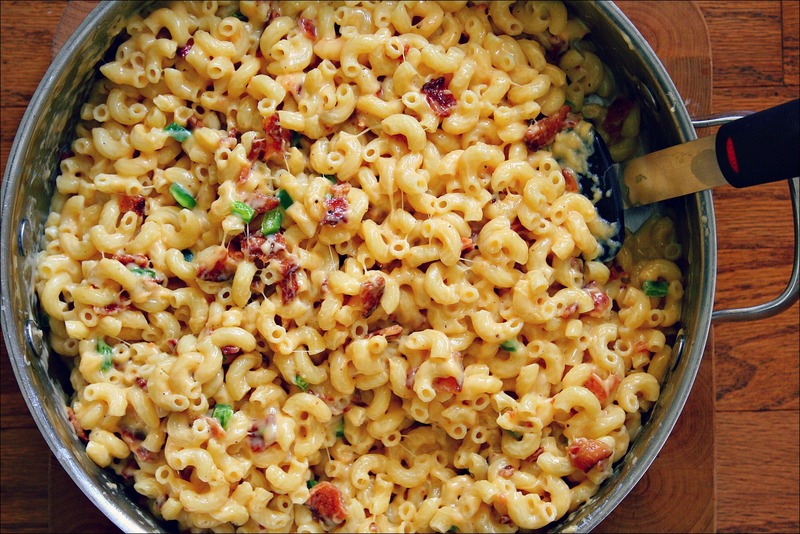 This has become one of my favourite homemade mac and cheese recipes. I’m always trying new styles and flavours, and I think I hit the jackpot with this one. For this one, I accompanied my usual choice of smoked gouda with muenster cheese. This was my first time using muenster cheese in my mac, and it definitely won’t be the last! It added some serious creamy-ness and stringy-ness to the dish. 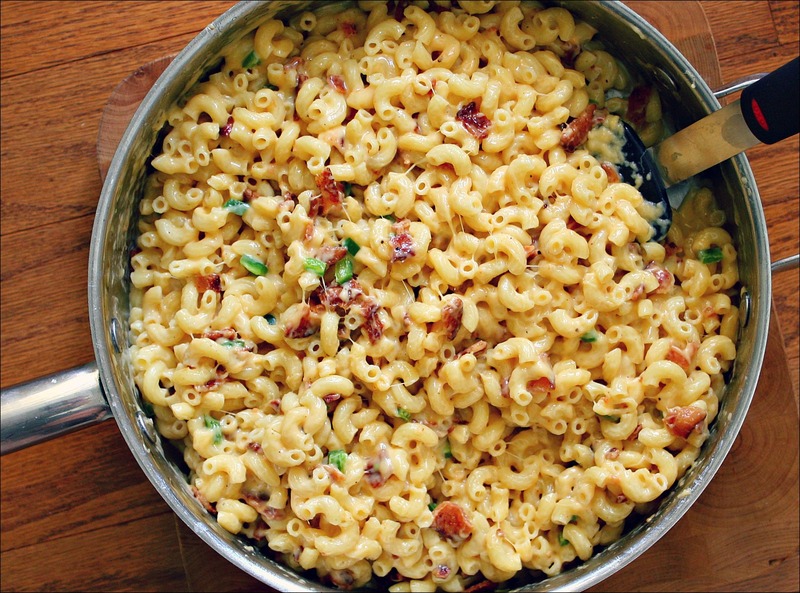 You know, all the things that a true homemade mac and cheese should be. In addition to delicious, potent cheese, I added some thick-sliced bacon (cooked to a crispy perfection) and some diced up jalapeno. 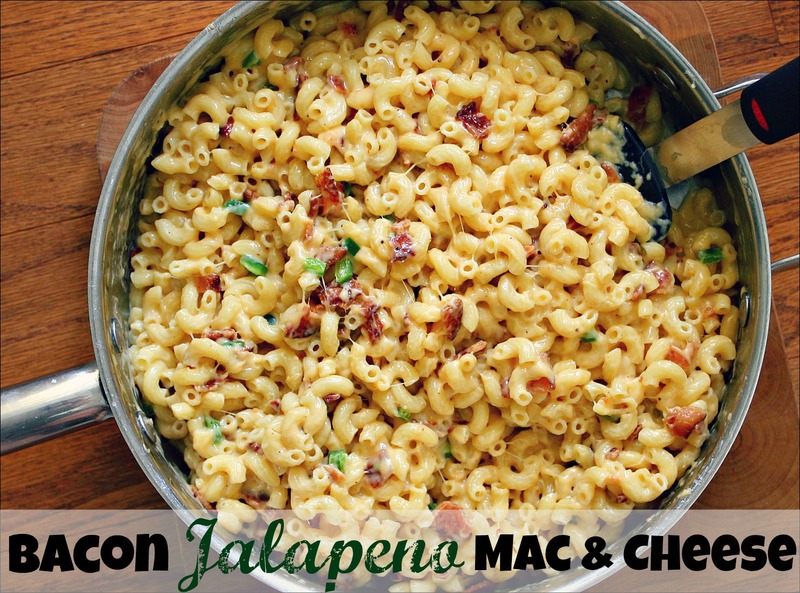 Jalapeno is great in a mac and cheese because it adds a kick, but it isn’t unbearable (like that one time I used jalapenos and Scottish bonnet peppers. Ow). Jalapenos are easy to tolerate, even for those who can’t handle much kick. They are totally optional, though. This dish would also go extremely well with a blend of onions and mushrooms. It also makes a perfect side for a Southern-influenced meal, which is how I used it here; as a side to some North Carolina styled pulled pork. 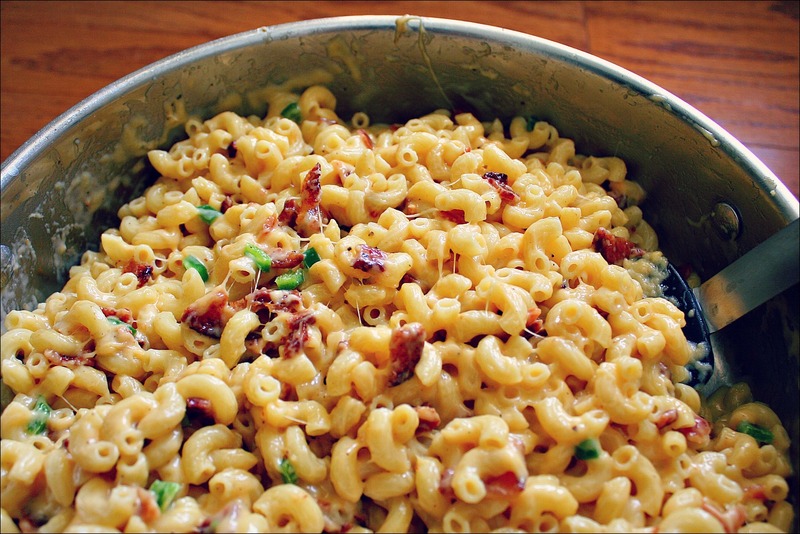 I actually skipped baking this particular mac and cheese dish, and I think I will skip baking it from now on. I’ve tried several baking techniques with mac and cheese, and it always seems to dry out. I’ve never had anyone complain, but for me personally, I’d much rather a thick and creamy mac and cheese. I don’t need a crispy top to please the people! Bring a large pot of salted water to a boil. Cook pasta noodles. As the pasta cooks, melt the butter in a large sauce pan. Add the flour, and whisk until it thickens and a roux has formed. Add milk, and continue to whisk until you have a thickened bechamel sauce – thick enough to coat the back of a spoon. Add the grated cheese to the pan and stir constantly, until the cheese is melted and a nice, thick cheese sauce is formed. Once the pasta is ready, drain the pasta, rinse, and then add it to a large baking dish or serving bowl. Pour the cheese sauce into the pasta. Add the bacon and jalapenos, and stir until everything is evenly distributed. DIG IN! Eat until you hate yourself.